Thank you to Markel Insurance for renewing as a Gold Level Sponsor of PATH Intl! Learn about available insurance options from Debi DeTurk Peloso at the PATH Intl. Conference. Congratulations to Rainier Therapeutic Riding Center's horse Maud Star, aka Aspen, who was named The Jockey Club Thoroughbred Incentive Program (T.I.P.) Thoroughbred of the Year Award recipient. The Thoroughbred of the Year Award recognizes a Thoroughbred that has excelled in a non-competitive career, such as equine-assisted therapy or police work. 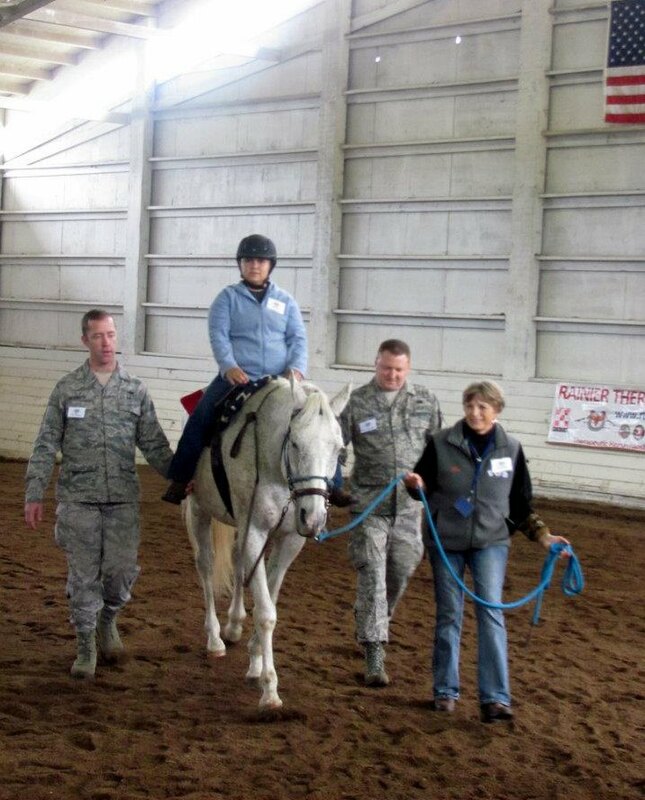 Aspen is a therapeutic riding horse at the Rainier Therapeutic Riding center in Yelm, WA, which provides therapeutic horsemanship to wounded, active-duty and veteran members of the military. Aspen, who had raced 32 times and won nearly $10,000 in his four-year racing career, is the oldest horse in the program and has helped more than 26 riders overcome the wounds of war, including post-traumatic stress disorder, brain injuries, anxiety disorders and other physical injuries. "Aspen is a program favorite who stands quietly for riders as they overcome their fears and anxieties of working with a large horse for the first time," says Elisia Mutter, executive director. "His quiet insistence that his handlers ask him for things correctly helps these amazing people once again have the confidence to be a leader." The Jockey Club, founded in 1894 and dedicated to the improvement of Thoroughbred breeding and racing, is the breed registry for North American Thoroughbreds. Information about T.I.P. is available on its website or on Facebook. The PATH Intl. Conference and Annual Meeting has a long-standing reputation of providing the very best educational content for attendees. This year, we are pleased to announce two new tracks that offer exceptional learning experiences. The Equine Health and Well-Being Track focuses on our equine partners. Sessions include improving horse-human communication, tips and techniques for facilitating your equines' education, training exercises beneficial to therapeutic horses and parasite control. The Innovate Track shifts our thinking out of the box. Sessions include a look at the future of the industry from a millennial perspective and facility design with Todd Gralla, whose company Populous helped design the 2012 London Olympics equestrian stadium. 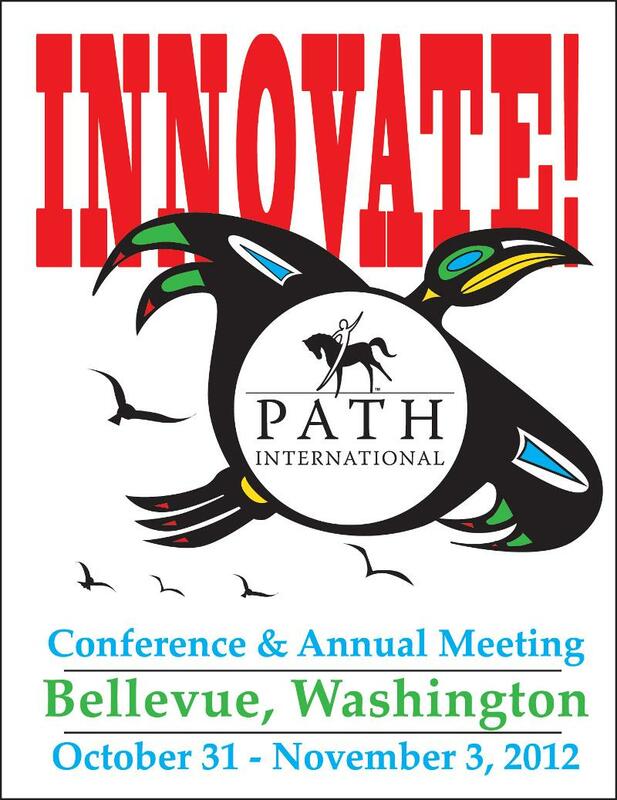 With the presentations, the banquet, the Horse Expo, the silent auction, and the fun to be had at the closing reception, you won't want to miss a minute of the 2012 PATH Intl. Conference and Annual Meeting, October 31-November 3. Look for the registration booklet included with the Summer issue of PATH Intl. Strides. Click here to register online or click here to download the registration booklet. Do you write books, consult or provide another skill that would be of interest to your fellow members? Consider reserving an exhibitor booth at the 2012 PATH Intl. Conference and Annual Meeting, October 31-November 3, in Bellevue, WA. Exhibiting at the PATH Intl. Conference will get your business in front of nearly 1,000 professionals in the therapeutic horsemanship industry! Click here to learn more about the opportunities available to PATH Intl. Members receive a $50 discount any time. Numerous individuals have sold out of their books, games or other materials by taking advantage of the opportunity to get in front of fellow members. Let this be your year! Congratulations to our 2012 PATH Intl. conference registration scholarship winners! Thank you to everyone who submitted applications. PATH Intl. welcomes these centers that joined PATH Intl. in July 20012. Welcome! If you want information on center membership, contact Karen Province. PATH Intl. is seeking a Credentialing Programs Coordinator, a full-time position in the Denver, CO, office. Experience in the field of equine-assisted activities and therapies is a plus. For a complete job description, click here. Please submit your resume and application to the attention of Jeff Kelling. There has been a great new update to PATH Intl. Community Connections! All PATH Intl. members can now upload items to the Resources page. This is a great way to share valuable resources such as job descriptions, volunteer manuals, lesson plans, etc. Each week the site will feature a resource as the Upload of the Week. Share your resources, and yours may be featured on the site! 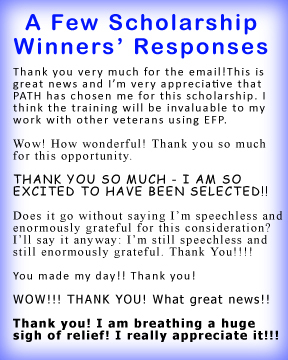 Last week's featured upload included multiple documents from the 2012 PATH Intl. Region 5 Conference in Tampa, FL. You can locate and download these documents in the Resources section of the Region 5 Community, or you can click on the Resources button on the main black navigation bar.